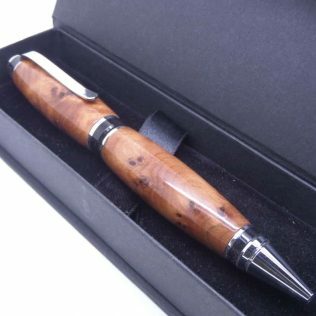 A wooden hybrid copper & burl pen hand turned on a wood-turning lathe in my own UK workshops using traditional tools and techniques. 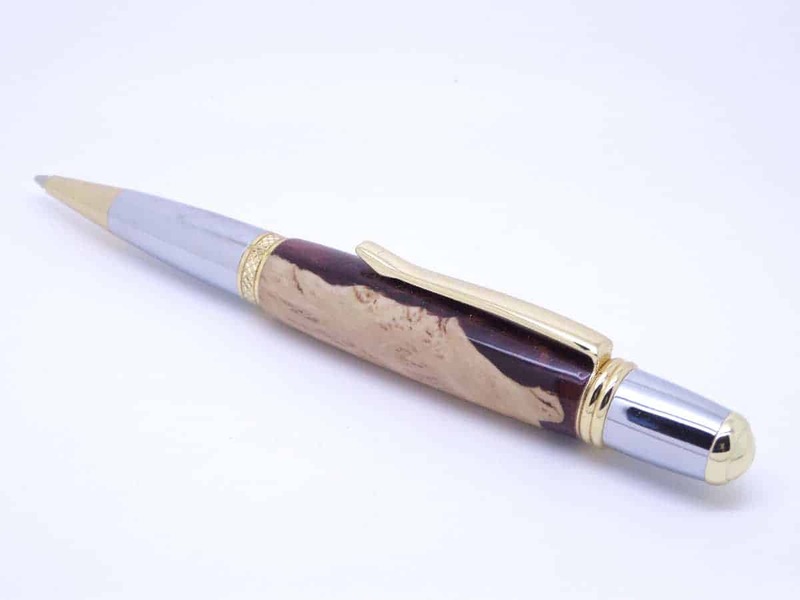 This pen blank is very special as it is the irregular edge of the burl that is made into a pen blank. 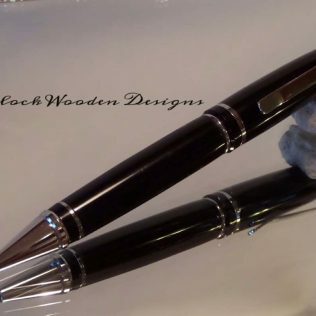 Casting the wood with resin under high pressure so making this beautiful piece of wood into something usable. 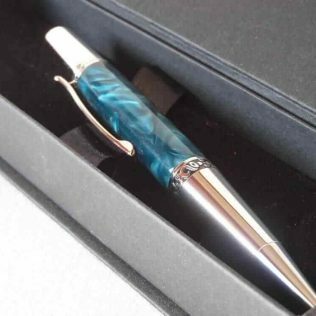 The pen barrel is a hybrid of burl wood and copper resin. 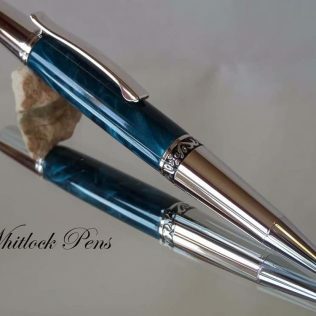 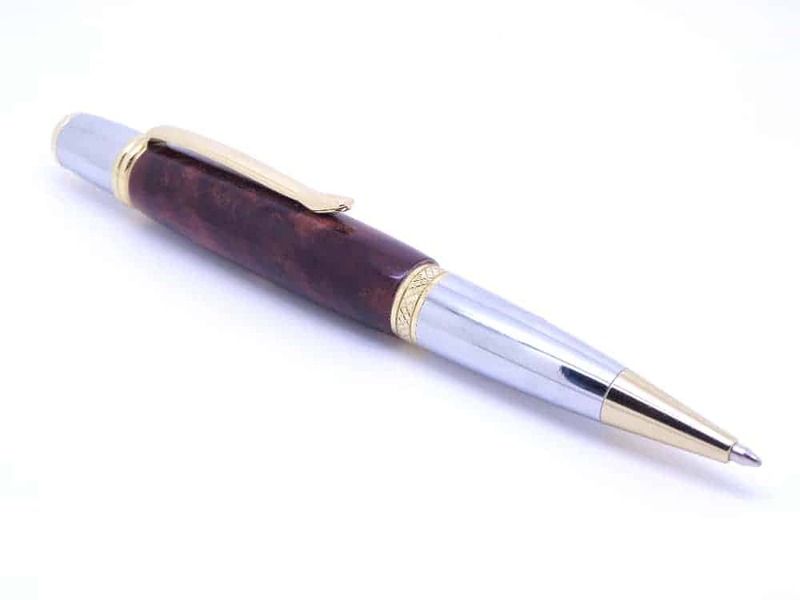 The pen has a twist ballpoint mechanism with a high-quality chrome plated trim with gold details. 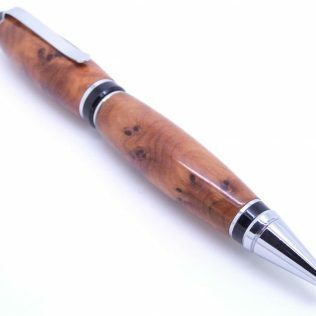 This copper and burl wood pen uses a Parker style G2 medium ballpoint black refill. 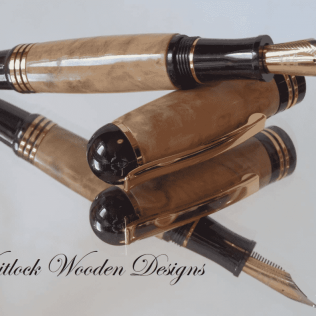 Replacement refills available from any good stationery suppliers. 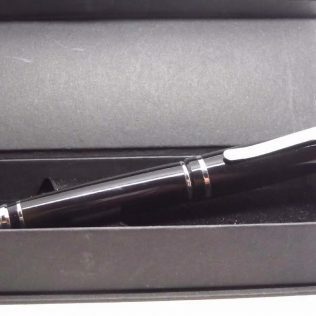 All of my pens come in a presentation box as standard. 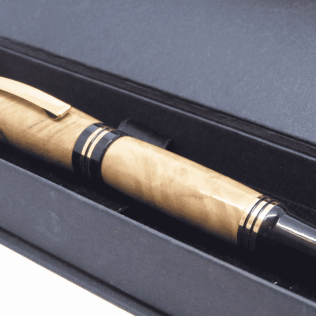 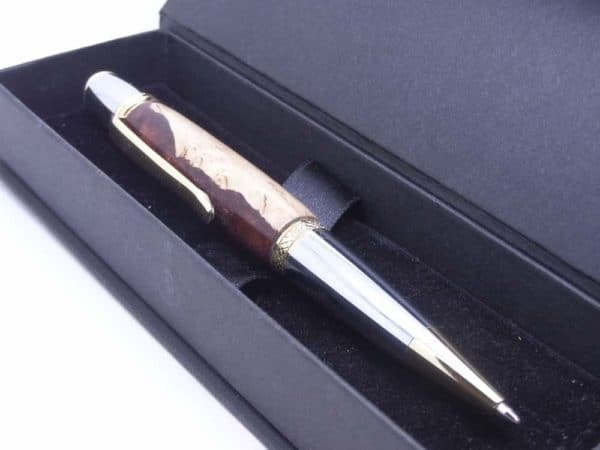 As every piece of wood is different in grain and figure even within the same larger piece these pens will make great gift ideas and unique handmade wooden gifts for Christmas or a 5th wedding anniversary.